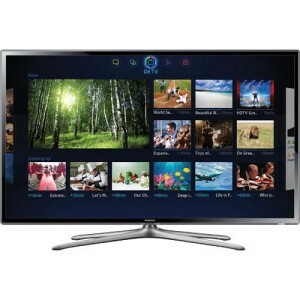 The Samsung UN46F6300 46″ Class 1080P LED Smart HDTV With Wi-Fi features full high-definition. The realistic detail of Full HD images invites you to enjoy a viewing experience that redefines reality. A Clear Motion Rate of 240 is a brilliant level of motion-clarity.TVs with this CMR can display action-packed movement with sharpness, clarity and contrast. The Samsung SmartTV finds the movies and TV shows you like –and more. Navigate within the 5 Smart Hub content panels. Easily discover movies, shows, and social posts with less searching and more watching. The Dual-Core Processor makes multitasking fast. Browse the web faster and quickly download Apps with this feature. No additional equipment is needed to connect with an existing wireless router in your home network and start accessing Samsung Apps or other Smart TV features.